Boston, MA CEO Kate Franco of Trinity Management, LLC has appointed Bob Cuttle to the newly created position of executive vice president, effective March 1, a position made necessary by the growth of the company since its founding in 2012. Cuttle had served as vice president at Trinity since 2014 and as a regional director before that. Cuttle came to Trinity with 20 years’ experience in the industry, and he holds a number of industry credentials, including: Certified Property Manager (CPM) from the Institute of Real Estate Management (IREM)); Registered Cooperative Manager from the National Association of Housing Cooperatives (NAHC); and Specialist in Housing Credit Management (SHCM) from Spectrum Enterprises, Inc. 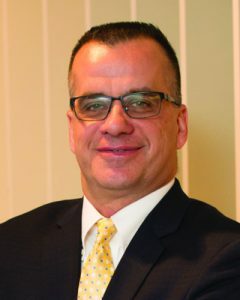 In addition, he has taken leadership roles in the housing industry through his membership in IREM, which he served as a regional director, as a vice chairman of its education committee and as president of the Rhode Island chapter, among other positions. He also was a member of the Rhode Island State Housing Appeals Board. “The new position was created to promote organizational nimbleness and flexibility as Trinity continues forward on its mission of ‘enhancing communities, changing lives.” Franco said. “I am very excited about this wonderful opportunity and look forward to working with the Trinity leadership team to continue the company’s growth and success.” Cuttle said.